Have you ever been lost? Maybe you wondered how you would ever get back to where you needed to be. I have found myself in this situation many times. I have to be honest with you; I am the world’s worst at getting turned around and losing my way. I jokingly tell my husband that when God made me He forgot to give me a sense of direction. Seriously though, I truly am awful at finding my way around any place with which I am not familiar. Thank God that He blessed me with a husband who can seemingly never get lost. I jokingly call him my human GPS. When I was a little girl my family and I traveled a lot. On one trip in particular we were traveling in two separate vehicles. One evening we had stopped to eat supper. As we left I chose to ride with my mom while my brother rode with my dad. When my mom and I got in our vehicle to leave she had to help me get my seat belt buckled. When she looked up, somehow she had gotten separated from my dad and my brother. We pulled out of the driveway, in the direction we thought my dad had gone, but soon discovered that we were lost. I can remember sitting in our vehicle on the side of the road as my mom tried to figure out how to get back to where we needed to be. Soon we were blessed to have a cop stop and help direct us back to where we had come from. Soon we were reunited with my dad and brother and we were on our way again. Many times in our Christian walk we can find ourselves in this same situation. Bad choices, a lack of faith, not listening to God’s guidance, falling away from God’s Word- all of these things can lead us down the wrong road. You see, Jesus was willing to meet him right where he was. He had nothing to offer Jesus. He could not offer to do great and mighty works for the Lord. He could not offer to repay all the wrongs that he had committed. His choices had led him to the end of his life. But there, in those very last moments, he made the best decision he had ever made in his life. He turned around and found Jesus waiting for him, just as he was. Friends, it is never to late to turn around. Please do not wait until you find yourself where this thief found himself. We are never promised tomorrow. However, if you find that you are headed in the wrong direction, even if you have gone down this same road time and time again, simply turn around. Jesus is waiting right there for you. He will take you by the hand and lead you in the right direction. He will put you back on the right path and He will walk with you. 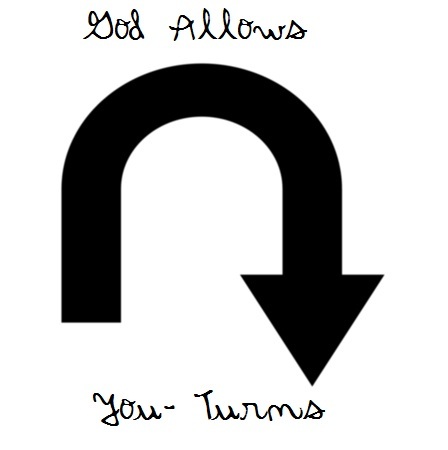 Please remember this today: It is never too late for a you-turn. It is true. I pray that by the time we are finished today, we will all have a better understanding on this matter. If you know anything about gardening then you know that there is a process by which one gets ready to plant. I must admit I do not have a very green thumb, but I do love to plant flowers in my yard. We even tried our hand at a garden last year. Nevertheless, whether you have a green thumb or not, you have a garden; it is your heart and your life. God created you and it is His desire to grow beautiful things in your life. Satan, however, wants nothing more than to destroy what God is doing. Before we are saved our gardens (our hearts and lives) are filled with weeds. Nothing healthy is growing there. The ground is hard and dry. We read in Galatians 5:19-21a: “Now the works of the flesh are manifest, which are these; Adultery, fornication, uncleanness, lasciviousness, idolatry, witchcraft, hatred, variance, emulations, wrath, strife, seditions, heresies, envyings, murders, drunkenness, revellings, and such like.” These are the things that are growing in our gardens, in our lives, before they are turned over to God. When we are saved we allow God to come in and take over. As we do this, God begins to get rid of the weeds and dead things. As we read God’s Word, He works in our lives. That hard, dry ground begins to soften up and becomes a place that God can plant His word. As we grow as Christians, beautiful things begin to happen. God begins to develop in us the fruit of the spirit. Galatians 5: 22-23a reads: “But the fruit of the Spirit is love, joy, peace, longsuffering, gentleness, goodness, faith, meekness, temperance.” These are the things that God wants to plant in us. These are the things, as Christians, that we should be allowing to grow in us. As we grow as Christians, satan is always going to be at work trying to trip us up. As we begin to develop love in our hearts, satan is going to do his best to plant a seed of hatred in there to choke it out. As we allow God to develop temperance in our lives, satan is going to plant that seed of strife there to hamper that growth. If we feel God developing meekness in our lives we can be sure that satan is going to try to plant a seed of emulation ( that is rivalry) in our lives. We must remember that satan does not want us to grow as Christians. He will do whatever he can to hinder our growth. We read in 1 Peter 5:8: ” Be sober, be vigilant; because your adversary the devil, as a roaring lion, walketh about, seeking whom he may devour.” If satan knows that God is working in your life, he is going to do what he can to stop that work. We must remain faithful in our Christian walk. So, do you believe now that satan is a gardener? He is a sly trickster. This is why it is so important for us to allow God to work in our lives. 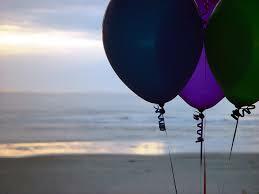 We need to allow God to develop good things in our hearts. We need the fruit of the spirit to grow in us so that by the power of the Holy Spirit we can defend against the seeds that the devil tries to plant in our lives. I want to encourage you today. God loves you and He wants to do a wonderful work in your life. He has great things planned for you. God wants to plant good things in your life and grow in you a beautiful garden of love, joy, peace, longsuffering, gentleness, goodness, faith, meekness, and temperance. Remember, however, that satan will try to plant his own seeds in your life. Go to Jesus, allow Him to work in your life. He will take those negative things that satan plants and use them to continue to grow you into what He wants you to be. One year ago today, I sat with a little journal in my hand, praying for guidance from God and I heard Him speak to my heart about starting Encouragement for Every Day. As I look back over the past year I am amazed at what God has done. When EFED was created I had no idea what I was doing, and I still have a lot to learn. When I answered the call to start an online blog I had no computer and no internet access except what I could get through my cell phone. I knew, however, that God was calling me to minister for Him. I knew that if it was truly a calling from God that He would provide as He saw fit. As I stood with my hands held out, empty before God, I told Him that I would write what He placed in my heart and that I trusted Him to give me the answers as I needed them. He did just that through the help of some wonderful people in my life. Here we are one year later and God has done great and mighty things. I am excited to see what else God has planned for the future of EFED. I look forward to the years to come as we get to share in God’s word together. I want to encourage you today. If you feel God calling you to do something, answer that call. If you have to do as I did and come to Him with empty hands, it is okay. God will not call you to any ministry that He has not equipped you to do. He simply wants you to do as Samuel did in I Samuel 3:10: “Speak; for thy servant heareth.” God does not always give us all the answers right from the beginning. He simply wants to see if you are willing to give yourself to Him and to place your faith in Him. When you do this He will then lead you in the direction He wants you to go. I want to take a moment to let each of you know how grateful I am that you allow me to minister to you each day. I feel so honored to be able to share God’s Word with you. I look forward to sharing more words of encouragement with you in the future. My prayer for Encouragement for Every Day is that we will grow together as God’s children as we study in his word together. I love to read the Psalms. What a picture each one paints for us. Some of the Psalms we can use as prayers. Some we can draw wisdom from, and others are stepping-stones that teach us how to live. Normally I pick one or two verses and use them, but there was no way for me to separate this chapter. I felt it would lose its meaning if I only used part of it. This Psalm, for me, is a stepping stone. It gives me a path and shows me the way I should be living and warns me of the things that I should avoid, thus leaving me with a decision to make. Which way will I choose? 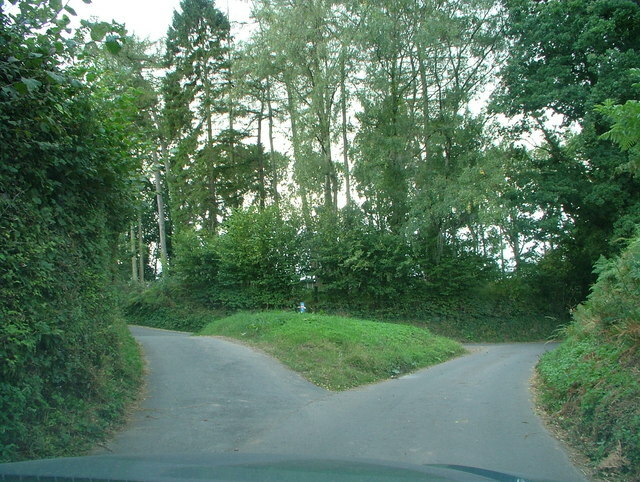 Will I follow God or will I follow my own way? Each has a certain end. It is up to me to decide which way I will go. I love the contrast that is painted here for us. We have a choice to make: Tree or Chaff? Have you ever seen a tree that is planted close to the water? It is tall and beautiful. Its branches are strong and full of beautiful green leaves. It is firm in its foundation and is not easily shaken. I believe that this is how God would have us to be as Christians. We are to be rooted in God and in His word. We will find that as we spend time with God each day we will become as this tree. We will be strong in Christ and our faith will grow. As we study God’s Word we will find that our roots are becoming more and more grounded and that we are firmer in our foundation of Godliness and in our beliefs. As we remain close to God we will find that He is growing us into the beautiful creatures that He intended for us to be. Now let us think about the chaff. This is the part of either wheat or corn that is left after the seed has been removed. It is very thin and light. It is useless, and can be easily blown away by whatever wind comes along. This, for me, paints a picture of one who is not a Christian, or one who is not grounded in the Word of God. If we are not careful we can become as this chaff. If we step away from God and His word we will find that instead of being strong and mighty as the tree planted next to the water, we will become dried up and frail. Instead of being grounded, with our roots firmly planted in the ways of the Lord we will find ourselves being blown around by the winds of adversity and sin. Each of us has a choice to make today. 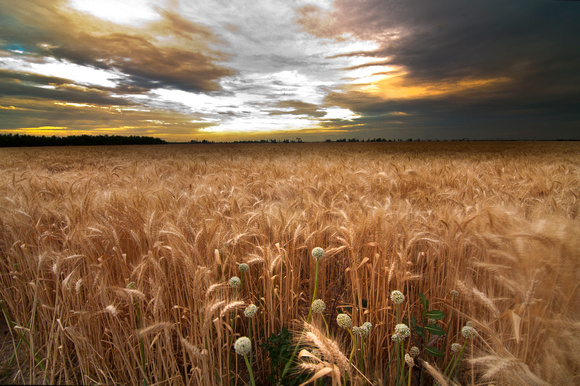 Will we choose to be firmly planted in God as the tree or will we choose to be like the chaff, frail and tossed about? I want us to realize today that the choice we make has eternal consequences. Will we follow God and be called blessed or will we choose to make our own way and perish? I pray today that this has painted a clear picture in our minds of the life that God would have us to live. I hope we can see today that God wants us to be rooted in Him. If we will stay close to God and allow Him to live in us He will make us into stronger Christians. He will mold us into what He would have us to be. The choice is ours: Tree or Chaff. Which Way Will You Choose? My prayer for you today is that you will follow God. Allow Him to guide you, to grow you, and to ground you in His word today. Have you ever wondered why living for God has been made so complicated? Is it really as hard as people have been made to believe? 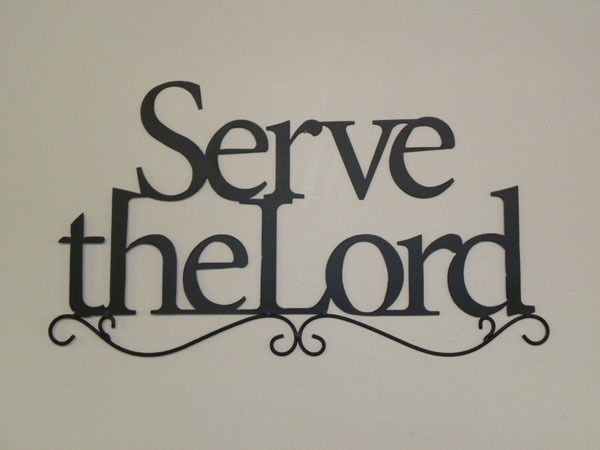 Let us look at some Scriptures that will help us better understand what serving God and living for Him is all about. Let us keep it simple. Our verse today says to “consider how great things He has done for you.” So what has been done for you? John 3:16 tell us: “For God so loved the world, that he gave his only begotten Son, that whosoever believeth in him should not perish, but have everlasting life.” God loved you so much that He sent His only Son to die for your sins and my sins. If you had been the only one on earth, however, I believe that He would have died just to save you. What great love. First, we must understand that we are all sinners. Romans 3:23 tell us: “For all have sinned, and come short of the glory of God.” Does this mean that we are all hopeless? No, because God has made a way for us. Romans 6:23 reads: “For the wages of sin is death; but the gift of God is eternal life through Jesus Christ our Lord.” The wages of sin is death, but God has made a way for us, through His Son, to have eternal life. The next thing you must do is be saved. A lot of people want to know what they have to do to receive this gift of salvation. The gift of salvation is free to whomever will accept it. We are told in Romans 10:9 “That if thou shalt confess with thy mouth the Lord Jesus, and shalt believe in thine heart that God hath raised him from the dead, thou shalt be saved.” All you have to do is to simply believe in your heart that Jesus died for your sins, and confess your sins to Him and you will be saved. This is the gift of salvation. 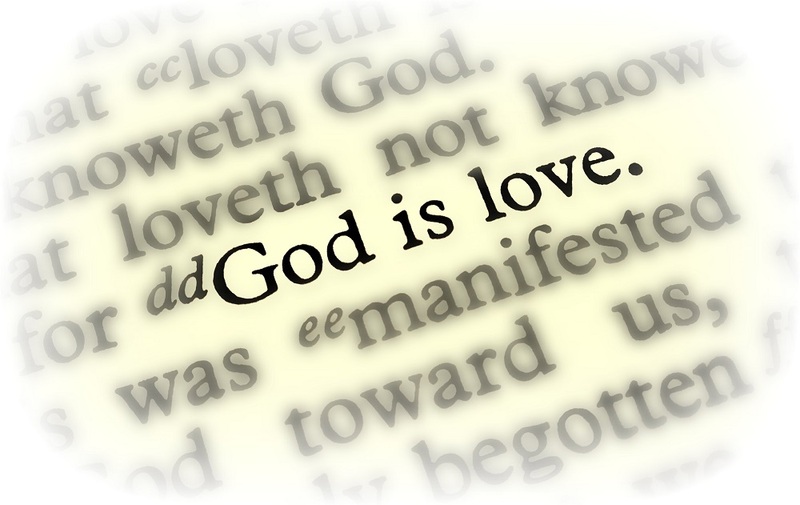 Living as a Christian is simply loving God and loving each other. As we do these two things God will work in us and begin to make us the men and women He wants us to be. Living for God is not complicated at all if you will allow Him to come into your heart and do a work in you. God loves you and wants what is best for you. He wants to save you from your sins and help you to grow into the person He has planned for you to be. I pray today that this will encourage your heart. If you have not been saved, if you have never asked Jesus to live in your heart, I pray that you will stop and simply ask Him to forgive your sins. Ask Him to live in your heart. It will be the best decision you have ever made. If you have been saved but seem to be having trouble figuring out what to do next, simply do as God has commanded us to do. Love Him and love each other. Allow God to work in your life. If He shows you something in your life that needs to be changed, ask Him to help you and then begin to work on that area of your life. As you grow as a Christian, God will continue to do a work in your life. Paul said in Philippians 3:12: “Not that I have already obtained all this, or have already arrived at my goal, but I press on to take hold of that for which Christ Jesus took hold of me.” We need to understand that salvation is an instant thing. When you ask God to forgive your sins He does it immediately. Living and growing as a Christian is a process. It takes time. We simply have to allow God to do that work in our lives. Being a Christian is not complicated. I pray today that this has helped you to better understand what it means to live for Christ. I pray that I have kept it simple.